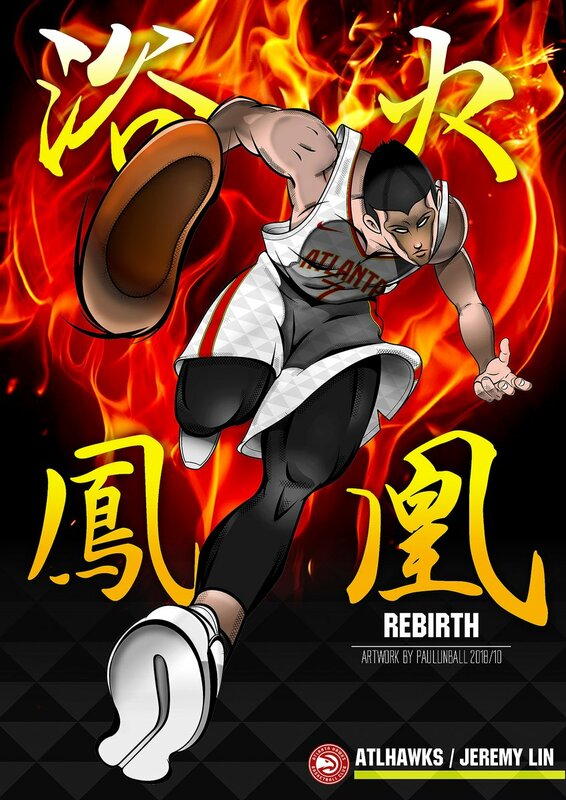 Gonzo Games has created a Jeremy Lin flash game where you get to play as Lin, as he tries to shoot as many baskets as possible within 60 seconds. Since Lin’s got perfect aim, your job is only to decide when he shoots and to maneuver him around the court for power-ups (score multipliers; time extension) and avoiding trick ups: Kaboom! (subtracts 10 points off your score) andTroll Face (knocks you back down to earning 1 point per shot). The highest score so far is over 200. Think you can do better? Click here or scroll down to play “Linsanity” below! Love the troll face and Yao Ming in the audience. Haha..
Jeremy can jam all the way from 3pt-line! Just came over from dot.net. It is getting very uncomfortable over there. The site is being hijacked by a few people. Then I came here and couldn’t stop laughing. Thanks so much…Now back to business.Round two. everybodys doing it. hijacked is the word. i dont understand why the veterans there let it happen. initially there was resistiance. but the interloper(s) persisted and seem for the time to have won. but its quite a downshift coming here. there brent yen is the king of the modest one liner and the clark kent. here hes dynamic commentator/long poster/moderator and superman. if i keep posting here as a refuge from that other site everybody came here from please dont give me one of those horrible chicken heads like you gave webattorney. Problems came from the top. Vets can do nothing about it. Mods have to set the tone. But they seems wants post counts more than post quality. me too :] The Glove Chicken hat is a nice way to say hi to people. I agree with Brent. The vets can only do so much. God knows some of us tried hard. But mods have the ultimate power to say to people to “knock it off” in belittling people with personal attacks. That’s a no-no here. We can debate the issues and disagree without disrespecting people. We saw how LakersGround mods took a swift action to ban LOF vs LOH arguments and everyone gets the message. Some have been thoroughly disappointed with the Family Rules being ignored for the sake of post counts. That’s why we want to focus on great basketball discussion w/o personal attacks here. ahh, got it. You just want to watch Jeremy Sims character mulling about doing his thing for hours. well so far ive managed to avoid the default. im still just a round head and shoulders. and hope it will stay that way; btw theres a good article somewhere “5 reasons why jeremy lin should start” on i dont know bleacher report maybe someone could link or post. i must admit the tech mechanics and lay out of this site are beyond me. Fielding Nash over Lin promises nothing. He’s not an everyday floor general anymore. The Lakers need someone they can count on. Consistently taking the floor would be a monstrous miracle for Nash at this point. And if not him, then who? Jordan Clarkson? Ronnie Price? Keith Appling? When healthy, Nash is Lin’s only competition. Nash isn’t healthy, so Lin should have no competition. Just need some time to get used to, we tried to simplify it and still need some work. 1mtoldman, you may post the article link in Disqus Hangout for general discussion and good links. After about 30 tries I got mostly under 140 and one 183 then this one. Congrats, @7iger! This will be almost impossible to beat ..